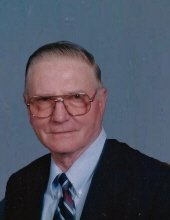 Jack E. Heatherly of Quapaw, OK passed from this life Thursday, March 28, 2019 at his home. He was 82. Jack was born October 23, 1936 in Cardin, OK to Claude "Cotton" and Mildred (White) Heatherly. He had lived in Picher, OK until 1984 when he moved on Grand Lake near Fairland. He resided there for 34 years before moving to Quapaw in December 2018. Jack was the service manager for Neal Norton Motors and then for Trigg-Snyder Chevrolet in Miami from 1956-1995. He then worked for Eagle-Picher in Quapaw, OK until his retirement. He was a member of Cardin Baptist Church and he loved fishing, hunting and camping. Jack married Judy Madden on March 1, 1958 and she survives of the home. Additional survivors include 2 sons, Kevin Heatherly and wife Jamee of Quapaw, OK, Randy Heatherly of Carl Junction, MO, 1 daughter, Kimberly Box and husband Vance of Kingwood, TX, 1 brother, Don Heatherly of Miami, OK and 5 grandchildren, J.D. Heatherly, Kenzie Heatherly, Carly Heatherly-Redlich, Marci Heatherly and Christian Box. Services ill be 11:00 a.m. Monday, April 1, 2019 at Paul Thomas Funeral Home Chapel in Miami, OK with Rev. Geoff Buffalo officiating. Interment will follow in G.A.R. Cemetery in Miami, OK with Kevin Heatherly, Randy Heatherly, J.D. Heatherly, Vance Box, Christian Box and Austin Redlich serving as pallbearers. Honorary pallbearers will be Don Heatherly, Larry Maden, Ed Onstott and Jerry Bayliss. The family will receive friends from 3-5 p.m. Sunday at Paul Thomas Funeral Home Chapel in Miami. Services have ben placed in the care of Paul Thomas Funeral Home and Cremation Service of Miami, OK.
To send flowers or a remembrance gift to the family of Jack E. Heatherly, please visit our Tribute Store. "Email Address" would like to share the life celebration of Jack E. Heatherly. Click on the "link" to go to share a favorite memory or leave a condolence message for the family.